It was not until the early 1600s that European explorers first visited the area and it took until the 1670s before permanent settlements were established. Quakers from the north of England, seeking refuge from religious persecution, began to carve farms out of the wilderness on the high grounds along the Delaware River and Crosswicks Creek in the late 1600s. The combination of high ground, navigable water, meadows, and upland proved irresistible to these settlers. The Abbott, Douglas, Farnsworth, Pearson, and Tindall families purchased large tracts of land with water access, built landings and began to establish a road network. Although the first settlers constructed simple houses, by the beginning of the 18th century, successful families, such as the Watsons were building considerably more elaborate houses reflecting their newfound wealth. The Watsons erected a large stone house in a style, which harkens back to the Middle Ages, that still stands. However, traces of even earlier wooden buildings survive as stains in the ground and collections of artifacts. By the mid 18th century much larger brick houses, many in the symmetrical Georgian style had become the norm throughout the region. Several of these survive, including White Hill in Fieldsboro, Isaac Pearson’s grand house, and the later Abbott-DeCou and Barnt de Klyn houses. The Revolutionary War led to a massive disruption in the life of the region. Following Washington’s long retreat across New Jersey in the fall of 1776, Hessian troops occupied Trenton and Bordentown. The houses of several patriots were destroyed and others were plundered. Later, in the spring of 1777 when the Crown forces moved up the Delaware River to capture Philadelphia, American forces burned a small fleet of vessels that had been built to defend the city just south of Bordentown in Fieldsboro. Other vessels were scuttled in Crosswicks Creek in an attempt to keep them from the British. When the war ended, the area returned to its peaceful agricultural rhythms and Thomas Paine, the firebrand of the Revolution briefly settled in Bordentown. At low tide, it is sometimes possible to see the Revolutionary War boats in Crosswicks Creek, where they were sunk to keep them from falling into the hands of the British. In addition, there are many historical sites in and near the Marsh. These include: The Watson House (1708), the oldest house in Mercer County, the Isaac Pearson House (1773), and the Abbott-DeCou Mansion (1797). Thomas Farnsworth settled along Crosswicks and Black Creeks (1682) on property that Joseph Borden subsequently bought (1724) and laid out as Bordentown. 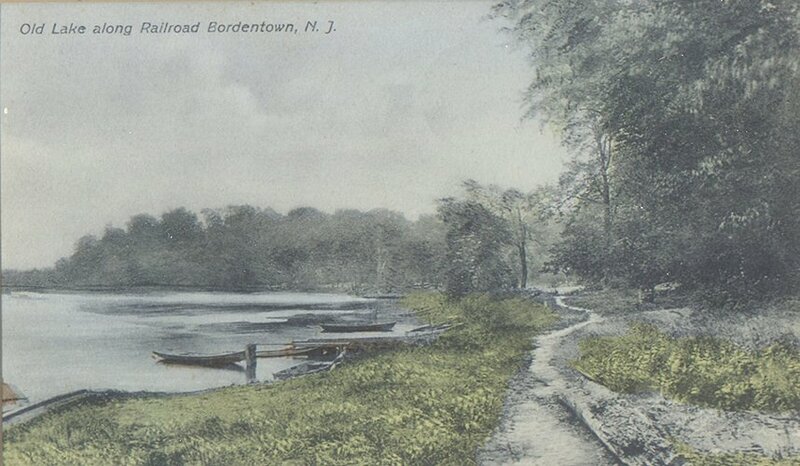 The confluence of Crosswicks Creek and the Delaware River has made the Bordentown/Hamilton Township region a center of commerce and transportation since colonial times. However, the area’s importance as a transportation hub grew significantly in the early 19th century with the completion of the Camden and Amboy Railroad and the Delaware and Raritan Canal in the 1830s. Travelers crossing the state from New York City and New Brunswick could disembark at Bordentown and take a steamboat to Philadelphia. The railroad, which replaced earlier carriages, cut through the center of town, and railroad shops were established in Bordentown. 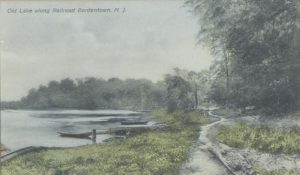 The presence of the Delaware and Raritan Canal led to even more growth in the community. Industries also grew. Bordentown was home to potteries, ironworks, and other factories. It even became home to the New Jersey Manual Training and Industrial School, an industrial school for African American youths.